If residents of Nevada want to provide for their families once they are no longer there, they may wish to consider establishing a trust. This is a powerful way of asset protection and safeguarding an estate from unnecessary taxes and penalties. Trusts are not only for those with sizeable estates, and they can be established to optimize what an individual will be able to pass on to family members in estates of any size. Once a trust has been created, it will require periodic reviews, especially when changes have taken place in the family. One of the most important considerations when creating a trust is appointing a trustee. Some people prefer to appoint a trusted family friend or colleague, while others prefer to appoint an unrelated third party. When a trust is established, the creator has the choice of it being revocable or irrevocable, which will determine whether changes may be made to it or not. In special circumstances, an individual may lose confidence in the person that was appointed as the trustee. To remove a trustee is possible through court procedures, which can be time consuming and expensive. However, if the original trust documentation includes the provision to allow a specific person to execute the removal of a trustee, the expense can be avoided. Another advantage of a trust compared to leaving an inheritance by a will is that a trust is protected from lawsuits and divorce. When a trust is irrevocable, a child’s spouse will typically not be able to attack the funds in the event of a divorce. A living trust is decided upon and created while an individual is still alive. 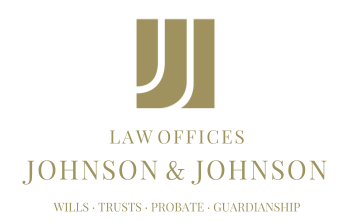 If a Nevada resident is interested in establishing a trust may benefit by seeking assistance from professionals in the field of asset protection and estate planning. By directing assets through a trust, the estate will be protected from the probate process. What can be passed along will be optimized, and assets will be preserved for beneficiaries.